Evangelicals who engage Seventh-day Adventists on the question of Sabbath observance are stepping into a minefield if they don’t first clarify the nature of the Mosaic law and its relationship to Christians today. At issue are fundamental questions about the scope of the law, its purpose in the new covenant, and whether we can distinguish between those aspects that are morally binding (eternal) and those that are not. Adventists have persuasive answers to these questions. Indeed, my own thesis is that evangelicals who contend for the continuity of the Mosaic Law in whole or in part and, at the same time, argue for the discontinuity of the Sabbath command, lack biblical support and face an almost intractable consistency problem. Conversely, evangelicals who argue for discontinuity—namely, that within the context of salvation history, the entire Mosaic law is fulfilled in Christ and thus has no direct claim on the believer—provide a biblically sound foundation for addressing the Sabbath question. WHAT DO YOU MEAN BY “ADVENTIST”? The emergence of evangelical Adventism rocked the entire denomination and culminated in the 1957 volume Questions on Doctrine (QOD), which affirmed key evangelical beliefs. For traditional Adventists, QOD was a devastating blow to church distinctives, symbolic of a full surrender to the evangelical criticisms of Martin and Barnhouse. Evangelicals outside the church, meanwhile, hailed it as proof that Adventists were moving toward theological orthodoxy despite holding heterodox views on some lesser points of doctrine. But the movement toward orthodoxy stalled when traditionalists staged a campaign against QOD shortly after its publication in 1957. Their efforts paid off. In 1963, the denomination stopped printing the volume and it remained out of print until Andrews University Press independently republished it in 2003 as part of its “Adventist Classic Library” series. According to respected SDA historian George R. Knight, the 1957 publication of Questions on Doctrine “did more than any other single event in Adventist history to create what appear to be permanently warring factions within the denomination.”7 In 1980, traditionalists scored again when the denomination fired leading evangelical spokesperson Desmond Ford and forced the resignation of 120 pastors who shared his views on forensic justification. Walter Martin was deeply troubled by these events and warned that the denomination would soon face doctrinal collapse. Thankfully, the persistent presence of evangelicals within the denomination is keeping the doctrinal debate alive. 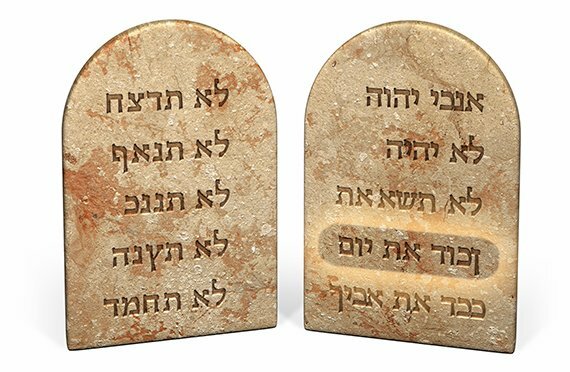 P1: God’s immutable moral laws are expressed in the Ten Commandments. P2: Because these commands are immutable, they apply to God’s people in all places and times. P4: Therefore, the seventh-day Sabbath remains a direct requirement for God’s people today. The first premise is key to the entire argument and Adventists are not the only ones to affirm it. Historically, Origen and Tertullian read Paul as making a distinction between the moral and ceremonial aspects of the Mosaic law: the moral, expressing God’s eternal will for humanity, and the ceremonial, a temporary addition given only to prefigure Christ.11 This interpretation of Paul’s thought was widely accepted by the Western church and continues to enjoy support from evangelical scholars who argue that while salvation is by grace alone, God’s eternal moral law as found in the Ten Commandments remains a foundation for Christian sanctification and ethics. It’s exactly at this point that his continuum thesis fails to deliver for evangelicals hoping to engage Adventist teaching. As A. T. Lincoln points out, if the Ten Commandments contain God’s immutable moral laws, why is only the fourth one singled out for change (from the seventh day to the first day) or exclusion? And by what authority is it changed or excluded? Given VanGemeren’s claim that, although the law applies in the new covenant, it must be interpreted through Christ, he could say that the seventh-day Sabbath is not an eternal law, only an eternal principle. Those whom Christ redeems are to rest one day in seven. But this response presents two additional problems. First, as Douglas Moo points out, the only way to know the Sabbath command is merely a principle and not an eternal law is to consult the New Testament.14 But if that’s the case, the Mosaic Law itself is not eternal, but applies to believers today only insofar as affirmed by Christ and the apostles—a position VanGemeren rejects. D. R. De Lacey and A. T. Lincoln provide exegetical support for thinking Paul has the Ten Commandment Sabbath in mind,17 but unless one wants to haggle with Adventists over the precise meaning of “days,” a more effective approach is to challenge the tripartite division of the Mosaic law itself. Is the division supported in Scripture? Third, the New Testament rejects attempts at division. The Jews in Paul’s day didn’t divide the law into categories, but insisted it must be obeyed in whole.21 Paul challenges Galatian believers to walk by the spirit rather than live by the law, since doing the latter requires one to “obey the whole law” (Gal. 5:3). James, meanwhile, warns that transgressing the law anywhere is to transgress it everywhere. If one wants to live by the law, he must obey all of it—flawlessly (James 2:10). In short, the categorizing of selected Old Testament laws as “moral,” and thus binding, while dismissing others as “ceremonial” is methodologically questionable and tactically disastrous when confronting Adventist Sabbatarian teaching. There is a more logical and biblically supported approach to the Mosaic Law. Douglas Moo’s discontinuity thesis—namely, that within the context of salvation history, the entire Mosaic law finds its terminus in Christ, and thus God’s people are no longer directly subject to it—challenges the major premise of the Adventist argument for Sabbath observance and puts evangelicals in a strengthened position for dialogue. P2: If the Mosaic law was entirely fulfilled in Christ, it no longer directly governs God’s people. P3: The Mosaic law in its entirety was fulfilled in Christ. Thus, (1) the Ten Commandments are also fulfilled and thus no longer directly govern God’s people, and (2) the fourth commandment in particular is fulfilled and thus no longer directly governs God people. This simplifies the Sabbath debate dramatically. Instead of haggling about the precise meaning of “days” or why one command is suspended while nine remain in force, evangelicals can focus the discussion on just one core question: Is there good biblical evidence to support the discontinuity of the Mosaic law as a whole? If so, the case for Sabbath keeping based on the Ten Commandments collapses. As the Mosaic law goes, so goes the Decalogue. Like Moo, I’m convinced the evidence for discontinuity is compelling. As Arthur Baylis points out, Christ fulfills the law in two fundamental ways. First, He fulfills its sacrificial requirements, bearing in full the penalty for sin as our substitute. As a result, believers are not merely acquitted; they are transferred from one realm to another. That is, when God declares them justified in virtue of Christ’s righteousness, not their own, they are freed from the dominion (realm) of sin, death, and law and are transferred into the realm of His beloved Son (Rom. 6:1–23; 7:1–6; Col. 1:13). It is precisely for this reason that true believers, though they remain sinners, cannot make peace with sin. How can they? They no longer live under its dominion, but instead are joined to another, Christ. Moo’s case for discontinuity stands solidly in Pauline tradition. He strengthens his case further by examining the Law’s purpose within the context of salvation history. First, the Law’s purpose was never salvific. True, it held out the promise of salvation for those who fulfilled its demands, but it couldn’t deliver on that promise due to human sin.30 Indeed, God never gave His people the law so they could earn eternal life. Instead, He gave it to a people already His own (based on His prior promise to Abraham, who was saved by faith) whom He called out of Egypt by a gracious act of deliverance.31 Its function was to supervise and reveal sinfulness, acting as a provisional custodian until Christ (Gal. 3:24–26). Fourth, the Sabbath itself is not eternal, but was a sign of the Mosaic covenant. Exodus 31:13–17 designates the day as “a sign between Me and you throughout your generations.” As such, it is given to a specific people for a specific time to remind them of a specific covenant—the Mosaic one. When that covenant is replaced with a new one, the sign that pointed to it—the Sabbath—no longer applies.35 True, the “sign” is said to be “forever,” but as Lincoln points out, “forever” does not necessarily mean “eternal,” but forever until fulfilled.36 For example, various other elements of the Mosaic law were spoken of as permanent—including the administration of the tabernacle, animal sacrifices, and the priesthood. All these were fulfilled in Christ. To sum up, the Decalogue does not constitute God’s unchanging moral law as Adventists contend, but is part of the provisional Mosaic law that was fulfilled in Christ. As such, it is binding on Christians today only insofar as affirmed and interpreted by the law of Christ. Therefore, the Adventist case for Sabbath keeping based on the Ten Commandments collapses. As the Mosaic law goes, so goes the fourth commandment. The Adventist case for a seventh-day Sabbath is grounded in the Ten Commandments, but also in the Sabbath as a creation ordinance. “The beneficent Creator, after the six days of Creation, rested on the seventh day and instituted the Sabbath for all people as a memorial of Creation.”38 Put simply, by resting on the seventh day, God mandates that His people should as well. The Noahic commandments, which governed the behavior of Gentile Godfearers, also point to a restricted application of the Sabbath ordinance, for they say nothing about keeping the Sabbath. Only a full-fledged proselyte was expected to join Jews in observing it. Even more striking is the example from Acts 15, where the apostolic decrees from Sabbath-keeping Jewish-Christians to Gentile believersexclude any mention of Sabbath observance.43 In short, the argument for a creation ordinance fails to convince. Evangelicals who affirm the continuity of the Ten Commandments while denying the continuity of the fourth, place themselves in a difficult if not unworkable position. Adventists are right to ask how God’s Law can be both unchanging and changeable at the same time. They are right to ask what authority allows for this change, and why only the fourth commandment qualifies for revision or exclusion. VanGemeren’s continuity thesis fails to provide a framework for resolving these objections. Conversely, Douglas Moo’s case for discontinuity within the context of salvation history dispatches these objections and levels the playing field. Its strength lies in challenging the major premise of the Adventist argument for Sabbath keeping, thus reversing the burden of proof. Instead of charging evangelicals with inconsistency and then declaring victory, Adventists must now explain why the Mosaic law still applies in the first place and why those passages pointing to discontinuity should be interpreted another way. For reasons discussed above, that won’t be easy. Willem VanGemeren, “The Law Is the Perfection of Righteousness in Jesus Christ,” in Five Views on Law and Gospel, ed. Wayne Strickland (Grand Rapids: Zondervan, 1999), 36. Walter C. Kaiser, Jr., “The Law as God’s Gracious Guidance for the Promotion of Holiness,” in Five Views on Law and Gospel, 177–99. Kenneth Samples, “From Controversy to Crisis: An Updated Assessment of Seventh-day Adventism,” Christian Research Journal (Summer 1988). George R. Knight, ed., Questions on Doctrine: Annotated Edition (Berrien Springs, MI: Andrews University Press, 2003), v, 522. SDA Fundamental Beliefs cited at http://www.adventist.org/beliefs/fundamental/index.html. Richard N. Longenecker, The Ministry and Message of Paul (Grand Rapids: Zondervan, 1971), 93. Douglas Moo, “Response to Willem VanGemeren,” Five Views on Law and Gospel, 88. A. T. Lincoln, “From Sabbath to Lord’s Day: A Biblical and Theological Perspective,” in From Sabbath to Lord’s Day: A Biblical, Historical, and Theological Investigation, ed. D. A. Carson (Eugene, OR: Wipf and Stock, 1999), 355. Moo, “Response to Willem VanGemeren,” 88. Arthur H. Baylis, From Creation to the Cross: Understanding the First Half of the Bible (Grand Rapids: Zondervan, 1996), 127. True, the previously cited (see note 8) 2005 statement of SDA fundamental beliefs does not mention this distinction, but popular Adventist literature routinely affirms it. See W. L. Emmerson, I Believe in The Ten Commandments (Watford, UK: Stanborough, 1934). Cited in R. J. Bauckham, “Sabbath and Sunday in the Protestant Tradition,” in From Sabbath to Lord’s Day, 341. D. R. De Lacey, “The Sabbath/Sunday Question and the Law in the Pauline Corpus,” in From Sabbath to Lord’s Day, 159–85; A. T. Lincoln, “From Sabbath to Lord’s Day: A Biblical and Theological Perspective,” in From Sabbath to Lord’s Day, 343–405. Wayne Strickland, “The Inauguration of the Law of Christ with the Gospel,” in Five Views on Law and Gospel, 261–62. Douglas Moo, “The Law of Christ as the Fulfillment of the Law of Moses,” in Five Views on Law and Gospel, 337. Strickland, “The Inauguration of the Law of Christ with the Gospel,” 261–62. Moo, “The Law of Christ as the Fulfillment of the Law of Moses,” 321. Moo, The Law of Christ as the Fulfillment of the Law of Moses,” 343. Emphasis in original. Baylis, From Creation to the Cross, 138–39. Douglas Moo, The Epistle to the Romans, in The New International Commentary on the New Testament, ed. Gordon Fee (Grand Rapids: Eerdmans, 1987), 409–10. Moo, “The Law of Christ as the Fulfillment of the Law of Moses,” 333–34. Harold H. P. Dressler, “The Sabbath in the Old Testament,” in From Sabbath to Lord’s Day, 30. Lincoln, “From Sabbath to Lord’s Day,” 352. Lincoln, “From Sabbath to Lord’s Day,” 348; Strickland, “Response to VanGemeren,” in Fives Views on Law and Gospel, 76–77, 81. Klaus Westermann, Genesis 1–11 (Neukirchener-Vluyn: Neukirchen Verlag, 1974), 237; cited in Lincoln, 348. Strickland, “Response to VanGemeren,” 82.